A pool can be a huge source of fun or it can be a paradise to relax and recharge. Unfortunately though they are also a safety hazard and making it as safe as possible will give you peace of mind. One way to do that is with the best pool alarms. The best swimming pool alarms will alert you when anyone or anything has fallen into the water. 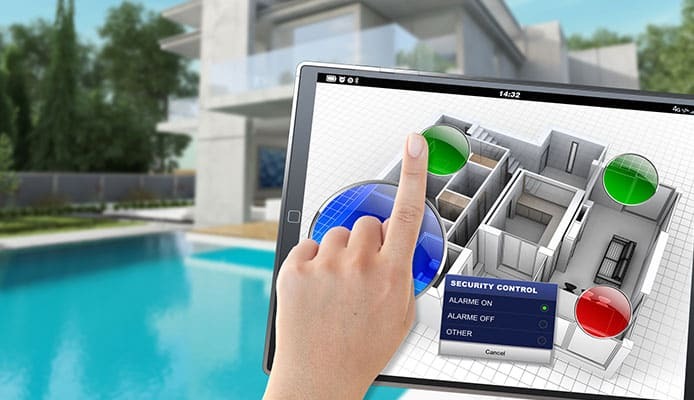 In this guide we will give you all the information you need to choose the best alarm for you and we have also completed pool alarm reviews to show you the best products on the market. This is not strictly a pool alarm, but it will work in conjunction with your pool alarm to protect your pool and maintain the water level. If the water gets too low in your pool, then it can cause your alarm to go off or not work at all. The Rola-Chem water leveler automatically adds water to your pool when the water gets too low, and shuts off the water when it gets to the correct level. Place the water leveler in your pool, hanging over the edge, and set the level you want for your pool. Attach the leveler to your garden hose, and let it do the rest of the work. When the water falls below a certain level, the device will open the valve and water will be added to your pool. This is a great device for when you are away from home for a period of time and want your pool level monitored. 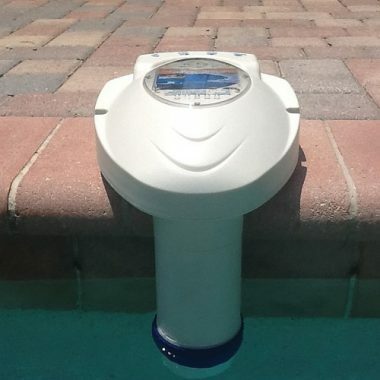 This in-ground alarm is great for large pools, and you can install it in pools up to 800 square feet. This means that it will detect a child falling into a 20 x 40 feet pool. The alarm is set up to detect anything which is the rough size and weight of a one-year-old child. 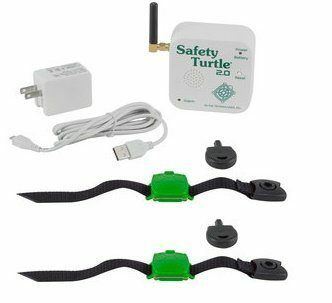 You can tether this alarm to the side of your pool or anchor it to the surround of your pool, but if the alarm is removed, then an alarm will sound to alert you. If you do want to take the alarm from the pool, you can put it into step mode and remove it. Whenever you put it back into the pool, the alarm will detect the water, wake up, and run a system test. The alarm has a range of 200 feet, to make sure to install the receiver no more than this distance from the pool alarm. There is a low battery alarm to alert you if the batteries in the pool unit are running low. The pool alarm has also been specially calibrated not to be set off by any debris entering your pool, such as leaves. No more false alarms and wasting time. This alarm works well on a variety of entrances. It will work on gates, doors, windows, and more. Not only will it work well on conventional openers, but it will also work on sliding doors, windows, and screen doors. Once the magnetic contact is broken, the alarm will sound. With 110 dB, you will hear this alarm from anywhere, and be able to get to the pool in time tisane anyone who has fallen in. There is then an adult button to press to reset the alarm. There are two sensors included, which is great for double doors. You can have the main door open, with the screen door closed and the alarm will be set. The alarm will only go off when both doors are opened. Great for summer months, when you want air to circulate in your pool room, but do not want the bugs to get in. This alarm is always on, and you will have to press the bypass button to reset the alarm or tune the alarm off. This is another alarm on our list for use on a door or gate. It also works for outside doors, screens, and windows. As soon as the door is opened, there is a seven-second countdown. The alarm does not turn off if the door is closed. The seven seconds gives you enough time to get there and shut off the alarm if you need to, and then get your child out of the room. It is also great if you open the door, forgetting that the alarm is set. You have enough time to deactivate the alarm before to goes off. The battery on this alarm will let you know when it needs to be replaced. When the battery gets low, a small alarm will begin to sound. This is great for ensuring that you are always protected, and always remember to change the battery when it gets low. The battery will last around a year when in constant use. This is a great in-ground pool alarm which will keep your family safe. You need to anchor the alarm to the side of your pool to install it, which may mean drilling into the concrete around your pool, but once you have it anchored around your pool, you do not need to worry about it after that. This is a great pool alarm if you have small children or pets. It is set to detect objects which weigh more than 18 pounds. If some leaves fall not your pool, this alarm will not bother you, but if a child or a dog fall in, then you will know about it. The alarm is always on, so through the night you do not need to worry about someone getting into your pool and you not knowing about it. You can also plug this into mains power or use a 9V battery to operate it. When the alarm does sound, you will hear it from 100ft away. This is a great alarm for larger homes or yards, where the alarm speaker can cover more distance than other alarms. The installation of the unit is easy, and the unit is easy to use too. The instructions are comprehensive, and if you read and follow them, then this alarm will keep you and your family safe for years. This is a great alarm system if you have children. There is no programming needed for the wristband system to work. Place the wristband on your child, make sure that it fits snugly, and send them off to play. As soon as water gets on the wristband, the alarm will sound. This is a great device for protecting them from harm around your pool, but will work equally well if you are your kids are out at the beach, or even indulging in some kayaking down a river. The entire kit is small enough that you can pack it up in your travel bag and take it on holiday with you. The fact that this kit does not need programmed when you use it, and as it is so small and compact, you can take this kit anywhere with you. The wristbands also work in fresh or saltwater, so you be assured that your kids are safe no matter where you are. If you have pets, then these wristbands will also work with your pets, and if you have more than two pets or children, then you can buy more wristbands to go with the set. This pool alarm sits on the side of your pool. 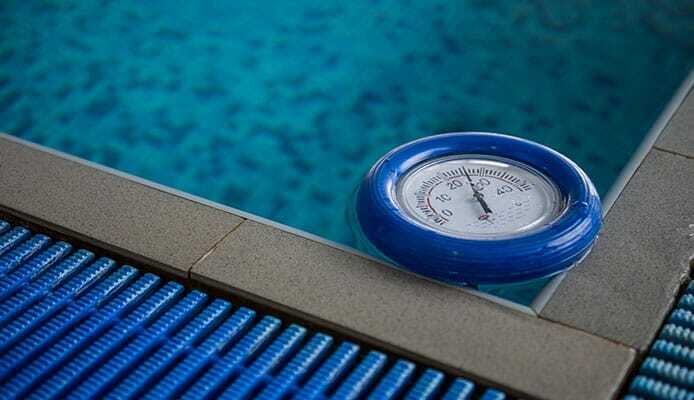 The pool alarm is lightweight, and you can use weights to weigh it down if you wish, or you can anchor it to the side of your pool by drilling holes in the surround of your pool and attaching the alarm. Once you have chosen the placement of your alarm, you should choose the placement of the receiver. Wherever you place the receiver, make sure of two things. Firstly, the unit should be no more than 300 feet from the receiver. Secondly, you should place the receiver where people are going to hear it. If a child or a pet should fall into your pool, then the alarm will send a signal to the receiver and the alarm will wound. The receiver connects to your mains power and has a light to let you know that the alarm has power. When the power does start to drain from the alarm unit in your pool (the alarm unit uses batteries), an alarm will sound so you know when to replace the batteries. We like this system. There is a seven-second delay between the door being opened and the alarm sounding. If one of your guests should open the door, unaware that there is an alarm, then you can turn it off before the alarm goes off. This is also the only door alarm which is UL listed under UL2017 for water hazard alarm equipment. You know that you are getting a quality piece of kit with this alarm, and one which has been thoroughly tested. You only need one 9V battery to operate this alarm, which is not included, but that is standard. With all pool alarms, you should always check that there is power to the device, and with battery-powered alarms, you should always check the battery periodically. This alarm helps you by sounding an alarm when the battery is getting low. That way you can always change it before the battery dies, and ensure that you are never putting your family in danger. There are many different pool alarms on the market. The main function of a pool alarm is to sound the alarm when the surface water of your pool is disturbed. There will also be a button to disable the alarm. All pool alarms will come with these two functions, but there are more functions which you can look for. Generally, the more features you have, the more an alarm will cost, but if you do shop around, you can find the best alarms at the best prices, like the ones on our list. Some alarms can be deactivated by lifting them out of the water. You can also find alarms where you can change the sensitivity. This is great for alarms which are sensitive, and areas where there is more debris, such as leaves falling. Depending on your needs, you should research what extra features are available, and which ones will make your life easier. 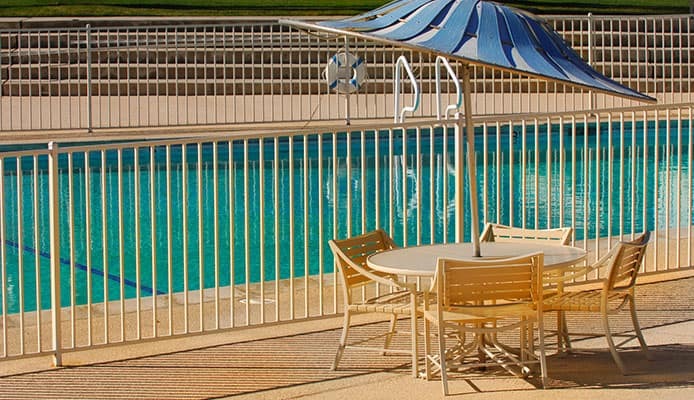 When we think about pool alarms, we are used to the classic in-ground alarms. When the surface of the water is disturbed, the alarm will go off. It does not matter where the alarm is put, as the water should be disturbed all over when someone or something falls in, but it would be good practice to put it as near to the center of the pool as possible, or as close to the areas where people can fall in. This alarm is best if your pool is in an open area. If you have a large pool, or cannot use an in-ground alarm, then you would be best using a buoy pool alarm. These alarms sit in the water of your pool and float. They do the same job as an in-ground alarm and will detect if the surface of the water is disturbed. If the wind is strong, then they can be set off, but for a large pool, they offer better coverage than an in-ground alarm. You will place them as close to the center of the pool as possible, or in the areas which are accessible to people or animals. Gate alarms are perfect for when you have an enclosed pool with a pool fence and only one entrance. The alarm will be placed on the door and will detect if it is opened. If you have multiple entrances, then you can opt to use multiple alarms. You can also combine alarm types for better security. 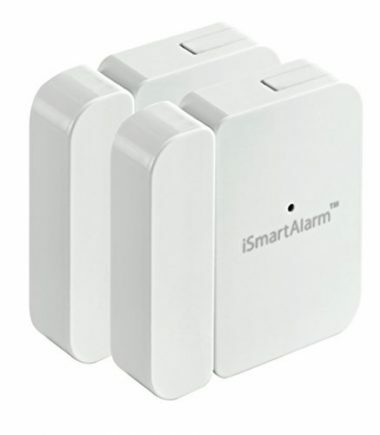 The sensors in different alarms are different. In-ground and buoy alarms will detect movement Depending on the sensor, these alarms can go off with the slightest movement, while others take a lot more movement. If you find an adjustable alarm, you can choose the sensitivity based on your needs. A gate alarm uses magnets to sense when the gate is opened. When the gate opens, the magnetic connection is broken, and the alarm is sounded. There is no need to adjust the sensitivity of this alarm as it is either open or closed. It’s important to know your facts about pools, spas swimming and safety. If there is a number one reason for a pool alarm, it is for the safety of your children and this is a great kids swimming pool safety guide. If you do have a pool, then your children are at risk of falling in. Even if you have a cover, you cannot guarantee that you will have it on all the time. You could be the best parent in the world, but there is always going to be a moment when you lose sight of your child. If they do get into the pool, or fall in, it is unlikely that you are going to hear them. If you have a pool alarm, then you are going to be alerted straight away. There is no better option for the safety of your children than a pool alarm. A pool alarm is just one part of keeping your children safe. 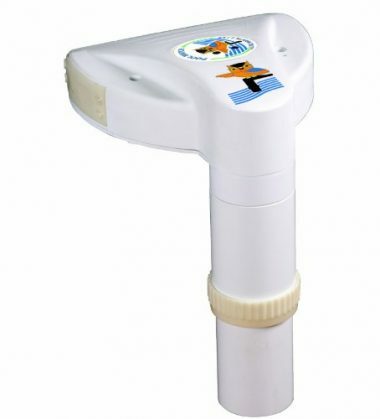 You want to make sure that you are using the best pool filter and pool pump to prevent bacteria from growing, a pool skimmer to get rid of and debris and also a pool cleaner to get rid of and dirt and mold. Pets are more unaware of the water than young children are and this pets swimming pool safety guide is an important read. If a child may fall into a pool, then it is by no stretch that a pet may end up in there too, willingly or by mistake. If your pet does get into your pool, then they may not be able to get out again. If you can get to them as soon as they fall in, then you can safely help them out again. You do not want a pet to fall in and not be able to get out again. While we are talking about animals, there are many wild animals, both big and small, which could wander into your yard and fall into your pool. You do not want an animal to die because you have an open pool in your backyard. A pool alarm can stop that from happening. A pool alarm will save any animals having a nasty accident in your pool, and it will help to keep your pool clean and sanitized. A deceased stray animal in there might mean that you have to drain it and replace the water completely. Another great option is to have a regular pool cover or a solar pool cover which is not only going to keep debris out of the pool but will also stop any temptation from young children or animals. You can also get a pool cover reel to make the job as easy as possible. It is not only your own children that you need to worry about. If your yard is open and easily accessible, then neighboring children can be tempted to come over and use your pool. Think back to when you were a kid. Did you always ask for permission? I am sure that the neighboring kids are not going to either. It is hard to know the capabilities of other kids, and you would not want them to be in your pool with adult supervision. Even if you have a large fence around our yard, there is still a chance they can get in and a pool alarm will protect against any accidents. Q: What Is A Pool Alarm? 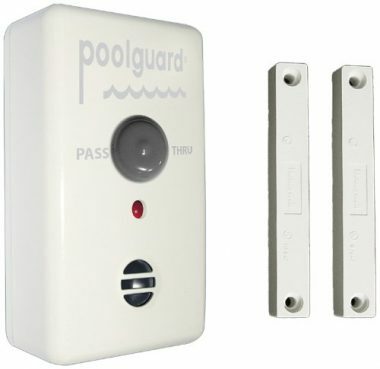 A: Pool alarms are designed to detect if anyone is in or around your pool (this goes for animals and objects too). 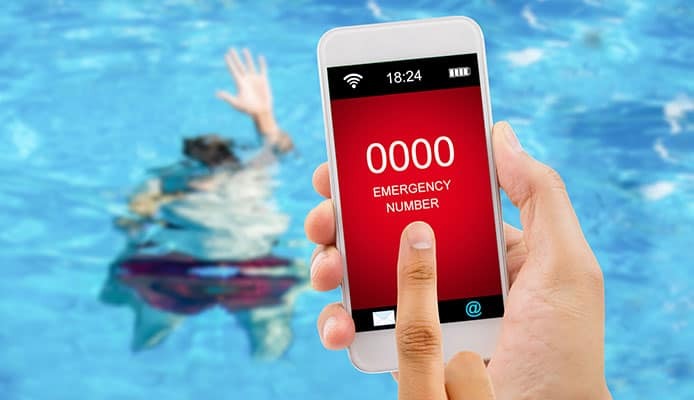 They are basically warning systems which can help you save the life of a person or animal; they can also alert you when an object, big or small, falls into your pool. By retrieving a person or animal from your pool, you can save their life. By retrieving an object from your pool, you can save that object from damage, and you can save your pool from any damage. Q: How Do Pool Alarms Work? A: There are a few different options when it comes to pool alarms. All of them have sensors, but those sensors work in different ways and are used in different situations. Motion sensor alarms include in-ground alarms and buoy alarms. Both of these alarms detect any movement on the surface of the water. The in-ground alarm has a part which hangs down to the surface of the water. The buoy alarm floats on the surface of the water. In anyone or anything falls in, waves are created, and the alarm senses the motion of the water. The alarm is then sounded. Another alarm, which is installed in your pool, is the sub-surface alarm. This alarm is positioned below the surface of the water. If someone or something falls in, then the pressure of the water is changed. This alarm sense changes in pressure and will sound an alarm when it detects a change. 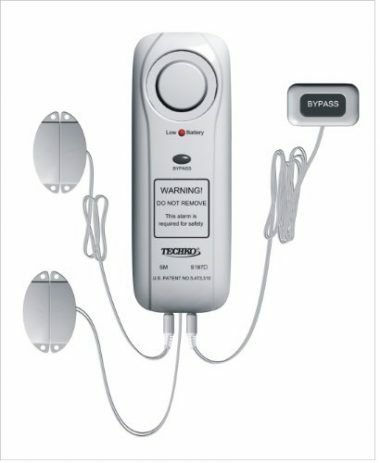 There are also immersion alarms which come with included wristbands. These work well for small children who do not yet know the danger of a swimming pool, and for animals. The base station of the alarm is placed under the water of your pool. The wristband is worn by the child or animal (or a combination or multiple of the two). If the wristband is ever submerged in the water, the alarm is triggered. This is a particularly good alarm for when you have people using your pool, but do not want a child to do so. If the surface of the water is broken, the alarm only sounds if it was broken by someone with a wristband. Door and gate alarms work best when there are limited entrances to the pool. Once you install and set the alarm, it will go off if the door or gate is opened. This alarm stops people from getting into your pool and from entering into the pool area. The other benefit of this alarm is that you do not have to place anything in your pool water. You also do not need to worry about your pool water being disturbed by wind and set off the alarm. Of course, the alarm only works if there are no other ways to get into the pool area. Q: What Are The Laws Regarding Pool Alarms? A: The laws differ from country to country and from state to state. If you have a pool in your yard, no matter if it is enclosed or not, you should talk to your local council to find out the laws regarding your pool and whether or not you need to install a pool alarm. Regardless of the law, it’s a great idea to take the time to make sure that your pools safe, and no one can accidentally fall in. You should always double check the laws, but the risk of a mishap should be enough to want to install a pool alarm. Q: How Well Do Pool Alarms Work? A: It is unfortunate that not all pool alarms work as well as they should. If you want to guarantee that you are getting a high-quality pool alarm, then you cannot go wrong with an alarm from our list, but, saying that, when lives are on the line, you should always do your own research too. Never buy a cheap alarm to save yourself some money. Some things are important enough to warrant a good alarm. Spending a little extra will get you an alarm with better sensors and better systems. You should also take the time to check the reviews to make sure that the alarm you are buying functions properly. You should also think about where you are going to put your alarm. If you live in a place where the winds are high, then your in-ground alarm may be set off constantly, and you are not going to want it in your pool anymore, rendering it useless. The same goes for a gate alarm which is placed on a gate, but there are other openings to access your pool. You should think about all the ways someone could get access to your pool or fall in. If you buy the correct alarms for your pool, check the reviews, invest in quality, and test them to make sure that they work for you and your pool, then your pool is going to b protected, and your alarms are going function correctly. Q: How Do I Install A Pool Door Alarm? A: By installing your pool door alarm correctly, you can ensure that the alarm functions correctly, and your pool and property are protected. Always read the instructions for your pool alarm, and make sure that you have everything you need, and have an overview of the installation process. You will be installing two main parts of the alarm. The alarm itself will be attached to one side of the gate, or to the surround around the door. Make sure that there is space to attach the other side of the magnetic connection to the other side of the gate or the door. Use the brackets included to either attach the alarm to one of the posts in the gate, or to drywall or wooden studs around the door. Once you have the alarm attached, you should mark the placement of the other sensor. 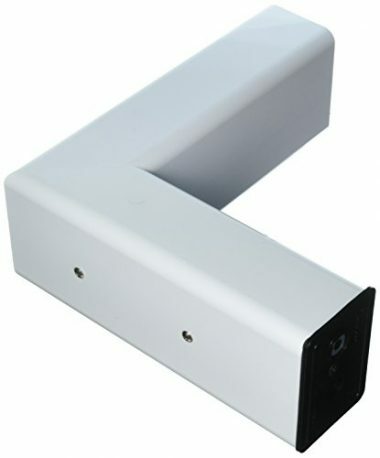 Attach the sensor to the other side of the gate or to the door, with the included brackets. Once everything is in place, you can put in the battery and test it. There should be a test button to ensure that the alarm is powered and sounds. Once you have tested the alarm, close the door or gate and set the alarm. Now, open the door or gate and make sure that the alarm goes off. When kids think about a pool, all they are thinking about is jumping in, sliding down a pool slide or playing with pool noodles. They have little concern for safety which is why getting all the tools possible to help you keep them safe is a great idea. 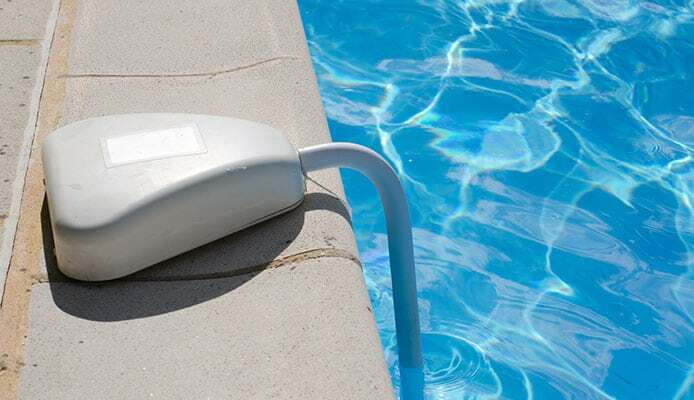 Everything you need to know about pool alarms is contained in our buying guide. 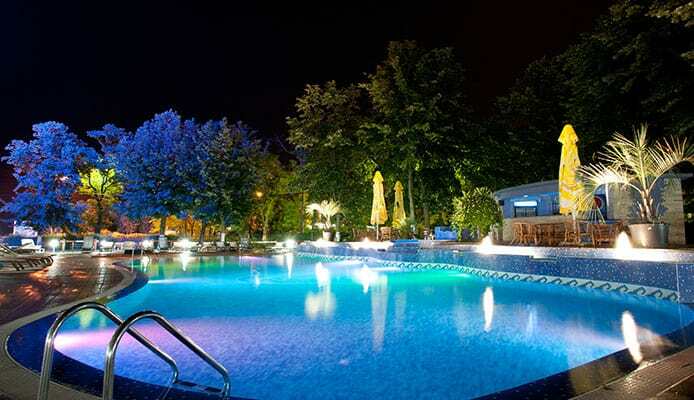 Once you have the necessary information, you can choose the pool alarm which fits your needs. Once you have it installed, the children and animals around you are protected.